The cost of QR Codes (and Data Matrix, Microsoft Tags…) is close to nothing for advertisers. Close, because you still need to pay someone (be it an intern or even yourself) to generate it. It is easy to use for advertisers and makes them feel like they are doing something new, something mobile, something trendy. There’s a “WOW effect” involved there. But there are 2 problems. Once he has the app installed, he must launch it, stay in front of the ad (easy if it’s in a magazine but different if you’re in the street facing a billboard), scan it… without knowing what will happen next! Will it download something? Try to make a call? Open a web page? Send private information like my contact details to the advertiser? Last and not least, he needs to have access to the internet when he scans a QR Code, which is most of the time not the case if he’s in the subway, where there’s a lot of QR Codes to scan (yes, this is stupid). The second problem is that QR Codes exist since the mid-90′s. It made sense then because mobile phones had 12 keys and it was difficult to tap a complete URL on such a thing. But now, most of the mobile phones come with a complete AZERTY/QWERTY keyboard and URL shorteners make it easy to display short, fast to enter URLs on ads. In my opinion, QR Codes are obsolete. 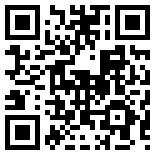 QR-like codes will be a major marketing and communication tool within retail in the very near future. Saying that they are obsolete is as ridiculous as stating that “talking boxes” (READ: radio) will never be an effective medium for advertisers. Because your statement will live forever, my prediction is that this blog will be obsolete before QR codes. Microsoft vs. Google: Who will be King of the Mail Hill? Copyright Gaetan Bertin Blog. All Rights Reserved.